Art from the Classroom will be on display in the North Canton Public Library’s Little Art Gallery from Jan. 31 through March 24. The exhibit opens Jan. 31 with artwork created by elementary school students from the North Canton City Schools and St. Paul’s School. It concludes with the Hoover High School exhibit, which opens March 14. The high school exhibit showcases the advanced technical skills and creative insight evident in the work of older students. The Art from the Classroom exhibit is comprised of four shows (elementary school, intermediate school, middle school and high school). Community members, including families, students, educators and patrons, are cordially invited to attend opening receptions for each of the shows. Receptions will be held the first day of each exhibit. Opening reception: Thursday, Jan. 31 from 5-7 p.m. Opening reception: Thursday, Feb.14 from 5-7 p.m. Opening reception: Thursday, Feb. 28 from 5:30-7 p.m. 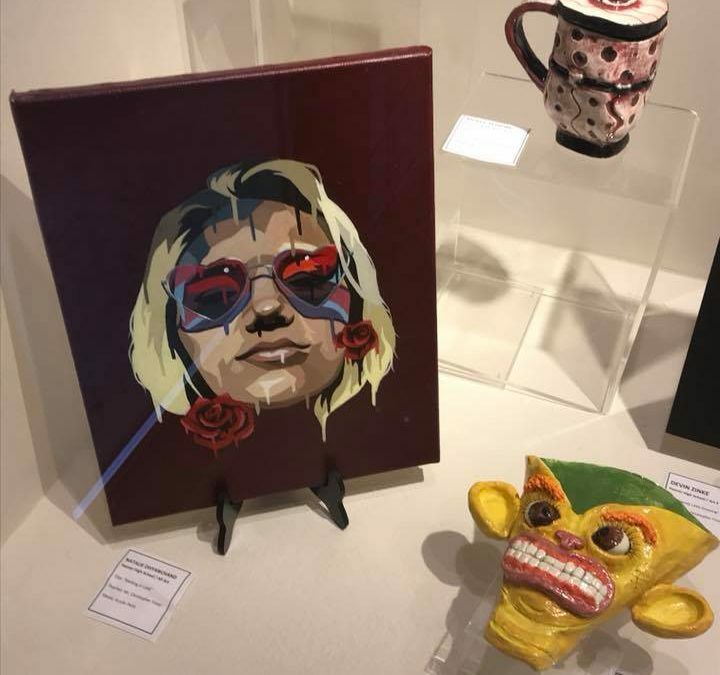 Opening reception: Thursday, March 14 from 5:30-7 p.m.
Art from the Classroom exemplifies the importance of, and commitment to, visual artistic education in North Canton. The Little Art Gallery is proud to play a role in furthering this dedication by highlighting the creative talents of the children in the community. For information, contact Christina Weyrick at 330.499.4712 x331 or cweyrick@northcantonlibrary.org.